Here we share are going to share with you the Nokia 107 latest version of flash files pack which is tested and verified on many phones. The version of these flash files is 2.90 having multi languages which are Urdu, Farsi, Pushtu, and English.you can flash these files with any flashing box or tools like ATF or Infinity Nokia Best easily. If you phone is hanging or restarting after power on it means that your phone software is corrupted and you need it flash it with latest flash files. so you can flash your phone with these flash files with any FBUS flashing device or interface selecting one by one MCU, PPM, and CNT. The product code of these flash files is 059T264. How to flash 107 RM-961 phone? Nokia 107 (RM-961) is BB5 based phone so if you want to flash this phone then you need to select BB5 band on you flashing tool then select RM-961 then one by one flash files on the tab then connect USB flashing cable with your phone then flash. 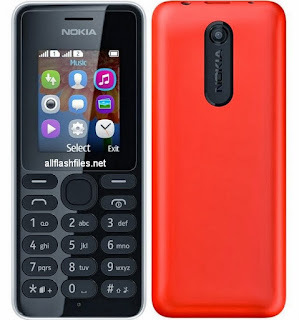 That firmware update is only for only for Nokia 107 (RM-961) don't try to install that firmware on other models of Nokia devices that can destroy your phone.